"V" for Victory - Win 100 matches on any mission or map. Against All Odds - Win the round while the last man left on your team and outnumbered. Army Commendation Medal - Qualify Expert on all training missions (BCT & AIT). 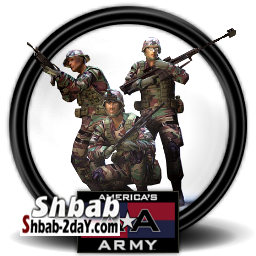 Army Overseas Service Ribbon - Play a match on every map (any mission). Army Service Ribbon - Graduate from Basic Training. Assault Specialist - Complete 50 Activated objectives. Avenger - Neutralize 20 enemies after being revived that had incapacitated you earlier in the round. Basic Rifle Marksmanship Badge - Qualify Basic Rifle Marksmanship by hitting 23 targets. Combat Infantryman Badge - Accumulate 2 hours of playtime in each MOS role. Consummate Professional - Neutralize 50 enemies with sighted headshots as a SDM. Czervenia Campaign Ribbon - Accumulate 20 hours of online play. Defense Specialist - Win 50 rounds while playing Defense (Defend, Ambush, or Counter). Distinguished Automatic Rifleman - Win 50 rounds as an Automatic Rifleman. Distinguished Grenadier - Win 50 rounds as a Grenadier. Distinguished Rifleman - Win 50 rounds as a Rifleman. Distinguished Squad Designated Marksman - Win 50 rounds as a Squad Designated Marksman. Expert Basic Rifle Marksmanship Badge - Qualify as Expert in Basic Rifle Marksmanship by hitting 36 targets. Expert Infantryman Badge - Qualify Expert on every Basic Combat Training level. Expert Life Saver Badge - Qualify Expert on the Combat Life Saving course. Expert Weapons Badge - Qualify Expert on every station in Weapons Familiarization. Follow Me - Win 50 rounds as Squad Leader. Got Your Back - Be linked to a teammate when they complete an objective 50 times. Hawkeye - Neutralize 5 enemies in one round (awarded on after enemy is confirmed). Mission First - Complete 50 objectives as a Rifleman. Mr. Zip Cuff - Secure 50 enemies. No "I" in Team - Stay linked to your team the entire round. Not On My Watch - Neutralize the VIP 50 times. One Man Army - Win a match without ever being neutralized. Physical Fitness Badge - Qualify Expert on the Obstacle Course. Recovery Specialist - Recover and Extract 50 carryable objectives. Security Specialist - Capture 50 Take & Hold objectives. Sharpshooter Basic Rifle Marksmanship Badge - Qualify as Sharpshooter in Basic Rifle Marksmanship by hitting 30 targets. Spotless Record - Complete 30 consecutive rounds without any ROE violations. Stick to the Plan - Complete 30 Squad Leader assigned objectives. Suppressive Results - Damage at least 2 enemies with a single trigger pull 50 times as an Automatic Rifleman. Tag and Bag - Confirm 50 enemies. Two Birds, One Stone - Neutralize two enemies with one grenade as Grenadier (awarded on after enemy is confirmed). Ultimate Sacrifice - Dive on a live grenade saving at least one teammate from certain death. Up and At 'Em - Revive 50 teammates. Very Important Player - Extract 50 times as the VIP. Walk It Off - Complete an objective after being revived. Weapon Bar - Auto. Rifle - Qualify Expert with Auto. Rifle in Tier 1 Automatic Rifleman. Weapon Bar - Carbine - Qualify Expert with the M4 in Tier 1 Advanced Rifleman. Weapon Bar - M16DMR - Qualify Expert with M16DMR in Tier 1 Squad Designated Marksman. Weapon Bar - M320 - Qualify Expert with M320 in Tier 1 Grenadier. Weapon Bar - Rifle - Qualify Basic Rifle Marksmanship with the M16A4.